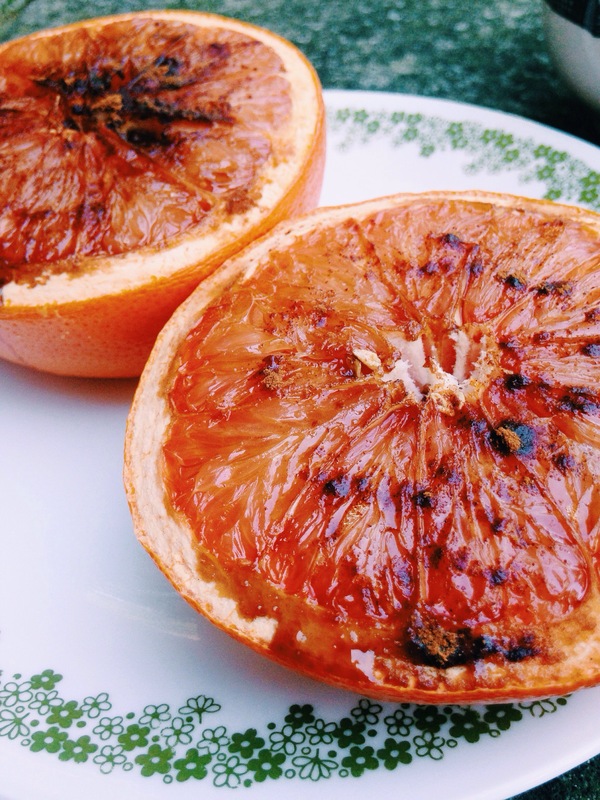 Grapefruit gets a bad rap. We can all acknowledge that it’s really good for us, but for some reason we associate eating grapefruit with old ladies using tiny spoons and making weird slurping noises. Unless that’s just me. And it’s just a little boring for the first meal of the day. 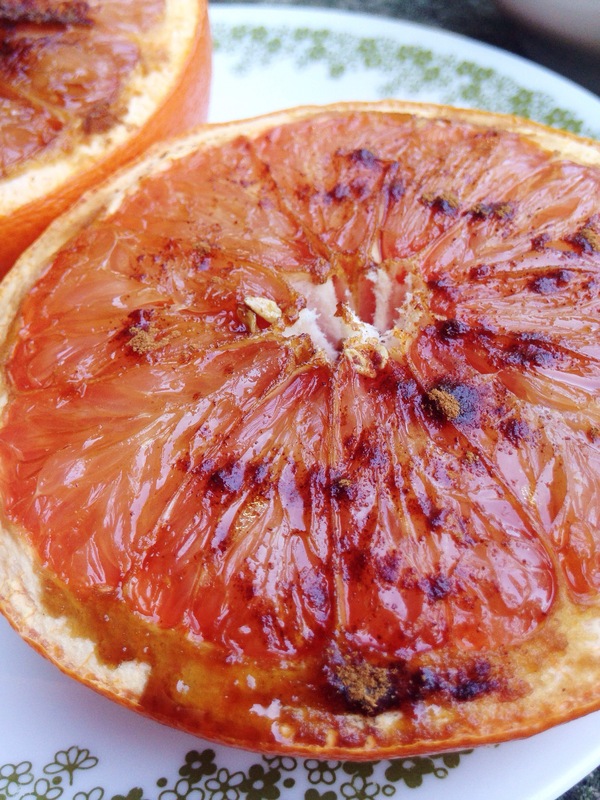 BUT, trust me here, baking grapefruit really takes it up a notch. The color and the flavor really pops, and a bit of cinnamon on top makes it something I’ll get out of bed for. There are tons of variations of this recipe but I wanted to keep it really simple with just sugar and cinnamon. I do think a bit of ginger would be awesome too, if you’re feeling adventurous. Preheat your oven to 400. Half the grapefruit and place the halves on a baking tray. Sprinkle cinnamon and brown sugar over the top. I like to go heavier on the cinnamon and light on the brown sugar – it’s already sweet so you don’t need much, and the cinnamon is the star here. But, it doesn’t matter too much. 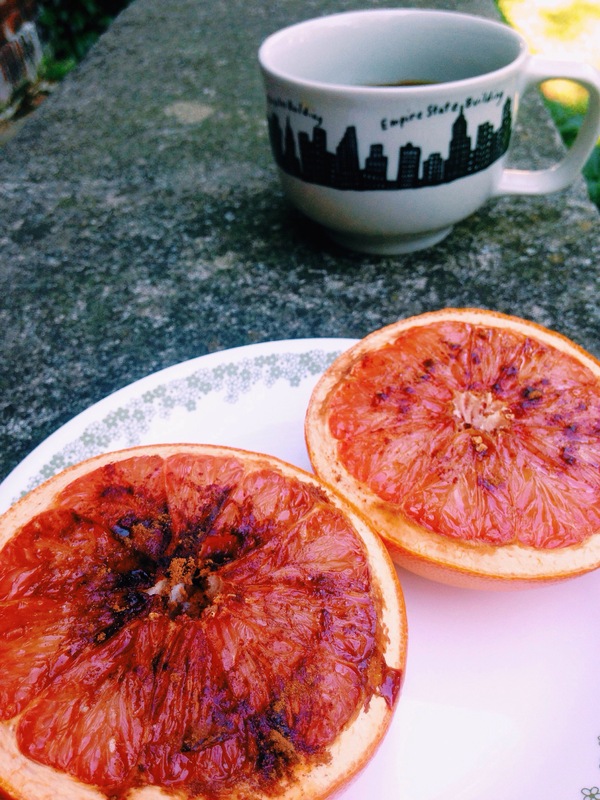 What a great way to enjoy grapefruit. Thanks for sharing.